A few weeks ago, we talked about upcoming digital trends to look forward this year. Innovation is always exciting, but it’s easy to confuse what looks pretty with what actually works, flat design. So when those two things connect successfully—that’s design magic. Good for the user? Good to use. Think of flat design as a 2-dimensional blueprint. It doesn’t need drop shadows, highlights, embossing, or any other tools that typically add depth to a website. Everything is simple and streamlined. So, what does flat design focus on then? Instead of flashy design elements, flat design highlights contrasting color variations and eye-drawing typography to create interest. 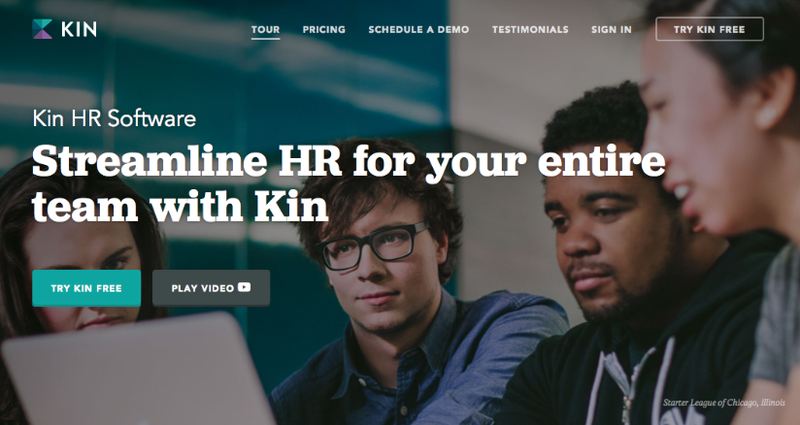 Kin uses crisp typography to create visual interest. 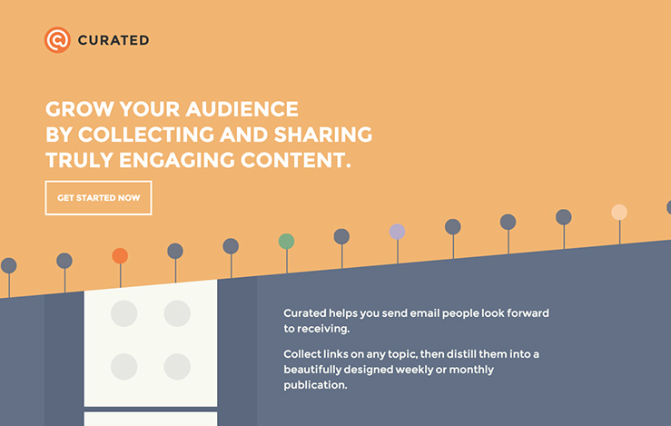 Contrasting colors and simple lines make Curated a streamlined experience. Good user experience is all about adapting to how the user moves organically within your site. Every interaction should make sense. Every element’s placement should be intuitive. Instead of relying on over-embellished features, flat design focuses on establishing a clear hierarchy based on basic geometric shapes. This makes the user interface easy to understand, particularly useful for app and mobile design. 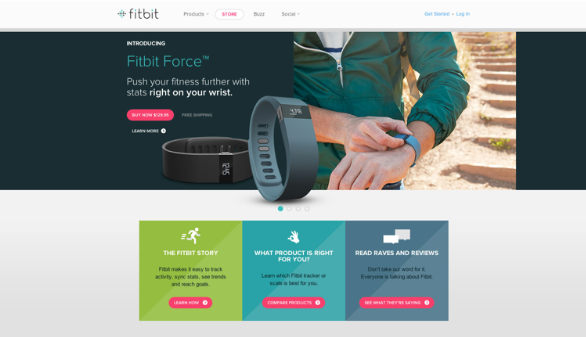 Fitbit uses bright colors to direct users to certain actions. 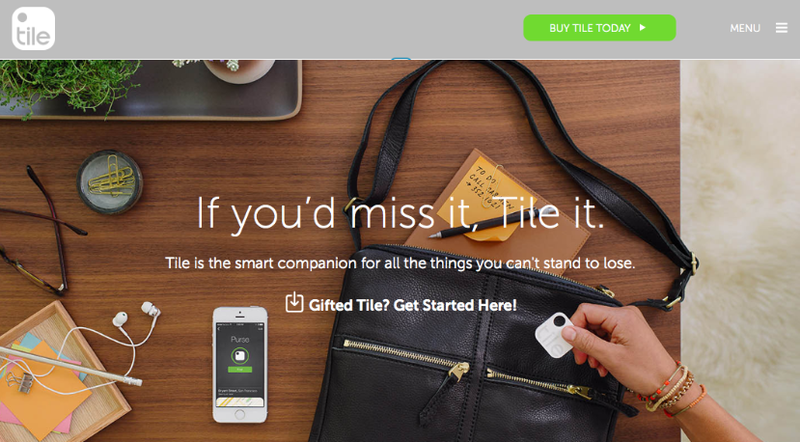 Like Fitbit, Tile uses a bright color to call users to action, without flashy over-embellishments. *Keep in mind that flat design is not a one-fit solution for all your design needs. What might work for one website, might not work for another. Interested in getting a project started? Our experienced designers and developers strategize, create, and build fully customized websites to meet your every business need. Get in touch today!